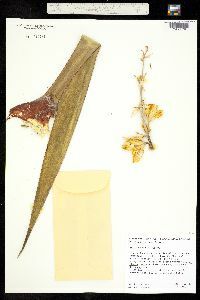 Relavent note from author of Yucca madrensis treatment:: Yucca madrensis is closely related to Y. jaliscensis to the south and the Y. schottii complex to the north. 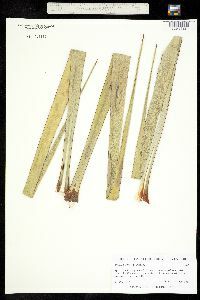 We follow L. W. Lenz and M. A. Hanson (2000b), who have determined that plants with long, wide, flexible, blue leaves that are now usually identified as Y. schottii Engelmann (not congruent with Engelmann’s original description) are more correctly referred to Y. madrensis. 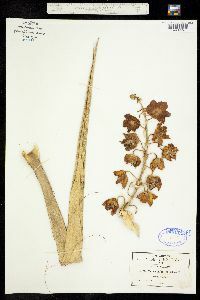 Lenz and Hanson further suggested that what is now called Y. schottii represents a hybrid complex among Y. baccata, Y. elata, and Y. madrensis. This putative hybridization is conjectural, and without firm evidence we are uncertain as to the appropriate disposition of the name Y. schottii. We are somewhat skeptical of the potential for crosses between baccate species (Y. baccata and Y. madrensis) and capsular species (Y. elata). Lenz, L. W. and M. A. Hanson. 2000b. 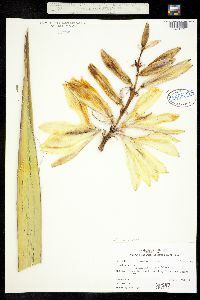 Typification and change in status of Yucca schottii (Agavaceae). Aliso 19: 93–98.